Home > Bookstores > Bookstores in United States > Bookstores in Florida > A. Parker's Books, Inc.
Search the inventory of A. Parker's Books, Inc.
Browse all books from A. Parker's Books, Inc.
About A. Parker's Books, Inc. 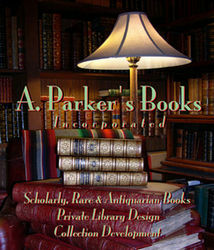 Incorporated in 1980, A. Parker's Books has been located in downtown Sarasota, Florida for over thirty years. We have consistently offered one of the finest selections of rare and antiquarian books in the Southeast and provide Library Design and Collection Development among our services. Our knowledgeable staff and our high level of integrity are demonstrated and monitored by our professional memberships in the Florida Antiquarian Booksellers Association (FABA), Antiquarian Booksellers' Association of America (ABAA), and International League of Antiquarian Booksellers (ILAB). 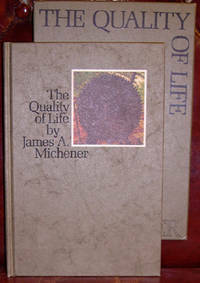 More than a decade ago, we merged our stock with a neighboring bookstore, Book Bazaar, Inc. Our Sarasota storefront has since housed two distinct shops; A. Parker's Books, Inc., continues to specialize in antiquarian, rare and finely bound books and maintains a rare book room which is the highlight of many visits to the store, while Book Bazaar, Inc., fills the majority of the space with an array of used, out-of-print and scholarly books. 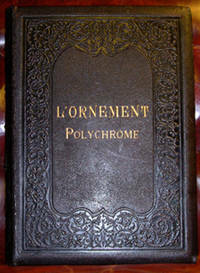 Together, we aspire to offer something for everyone, from the avid reader to the antiquarian collector. Our commitment to customer service and variety is demonstrated by repeat visits from tourists, both foreign and domestic, as well as the hours many local residents spend among our stacks. After merging with Book Bazaar, we opened a new shop in the French Quarter of New Orleans, Louisiana, incorporated as Crescent City Books, Inc. Later a fourth store, Commonwealth Books, Inc. was opened in Boston, Massachusetts on the Boston Common. This store has recently moved to the Downtown Crossing area. Each has its own specialties and atmosphere while continuing the traditions of maintaining friendly and knowledgeable staff and providing a wide variety of out-of-print, scholarly, rare and antiquarian books. It is not surprising that all have become favorites in their own communities. A fifth store, Commonwealth Books II, is now open in the historic Old South Meeting House on Boston's Freedom Trail and is a welcome addition to our family. With the addition of a new store, we now serve five communities of book enthusiasts. With the Internet, we serve an ever expanding global community. While Internet sales can never replace the experience of stepping into a shop brimming with wonderful old books, it can connect book lovers to items they might not have otherwise found. It is our goal to provide a pleasant browsing or buying experience to all of our visitors, both physical and virtual. We hope this web site helps to achieve that goal and that you enjoy your visit here. We also hope that if you find yourself in Sarasota, New Orleans, or Boston, you will stop in and spend some time with our books. If none of these cities is in your itinerary, we also exhibit at several Book and Antique Shows and Fairs throughout the year. Please send us an email; we'll gladly let you know our schedule. We thank you in advance for choosing us. Terms of sale for A. Parker's Books, Inc.
Rare Books from A. Parker's Books, Inc.